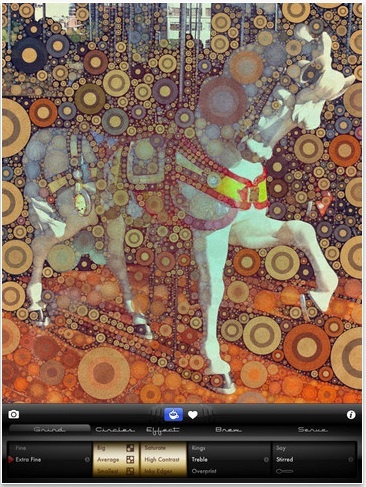 Percolator reaches 2.0 and now designed for the iPad too! A fun special effects app we have used on the iPhone is finally available for our iPads too! Percolator, with it’s 2.0 update, is now Universal. The app controls are simple, but high impactful. The Percolator name is fitting as the effect in it’s simplest form looks like the photo is sitting on top of an old percolator coffee maker. Using the controls along the bottom of the screen. Soften the circles, adjust the impact and quantity of the circles too. 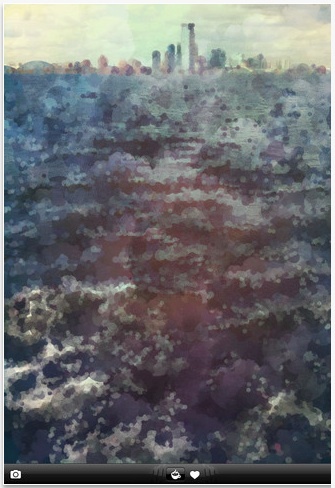 We find that less detailed images work best with the Percolator enhancements. ★ iPad support! We’re Universal — one app for iPhone, iPad, iPod touch! For free! ★ Speed—Now faster than ever! ★ Control detail with new Grind options, including an auto-contrast and color adjustment option. ★ Opacity controls to blend both image and circles. ★ Tone and Texture your percs with new Serve settings. ★ Amazing animated effects—your percs bubble and dissolve in front of your eyes! ★ Each perc’s recipe is stored as metadata upon saving, and imported into Flickr, iPhoto, etc. You and your friends will remember how you made that perfect brew.